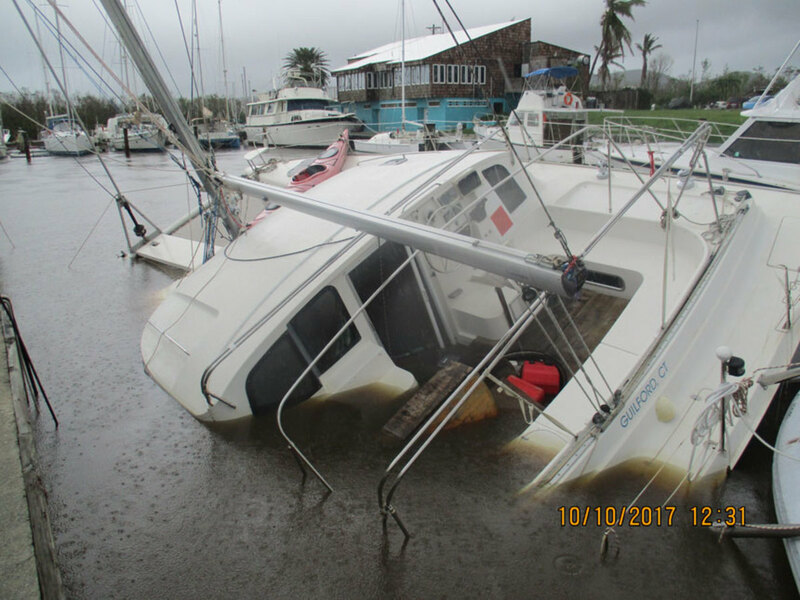 This 45-foot Hunter, insured by BoatUS, was totally submerged at Palmas Del Mar, Puerto Rico. 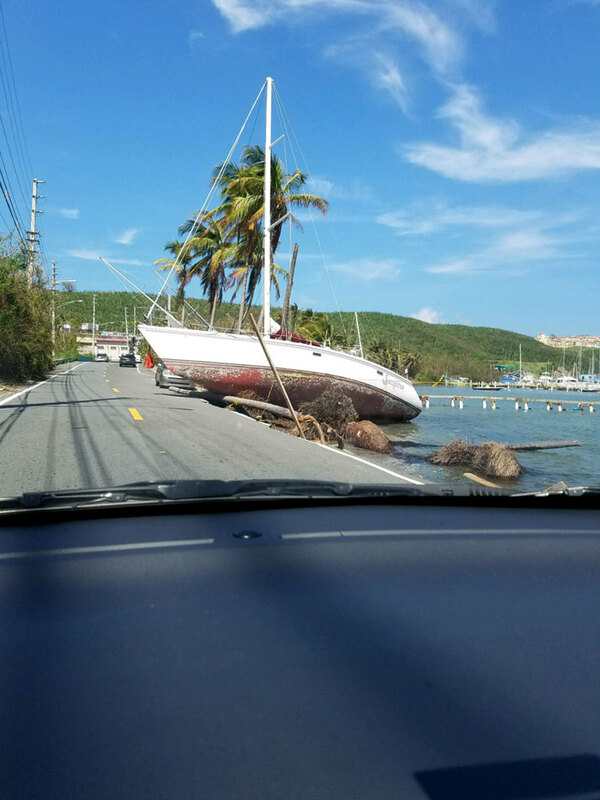 Hurricane Maria, which slammed into St. Croix before devastating Puerto Rico on Sept. 20 as a Category 4 storm, will make a significant impact on the boating industry, though the extent of it might not ever fully be appreciated. “There are huge amounts of foreign entities there that are charter fleets that aren’t American or American-registered,” Smith said. Many of the boats there are registered in St. Martin and St. Croix, as well as countries around the world. Smith, who wound up tallying between 45 and 50 days salvaging and assessing boats through hurricanes Harvey, Irma and Maria, also visited the region after Hurricane Hugo in 1989. BoatUS CAT team member D.J. Smith took a picture of this sailboat on the road in Fajardo, Puerto Rico. It was not insured by BoatUS. A 42-foot Lagoon catamaran, owned by a man from Texas, was in Palmas Del Mar when the storm hit. The boat had a hole in the port-side stern about 2 feet in diameter, Smith said. 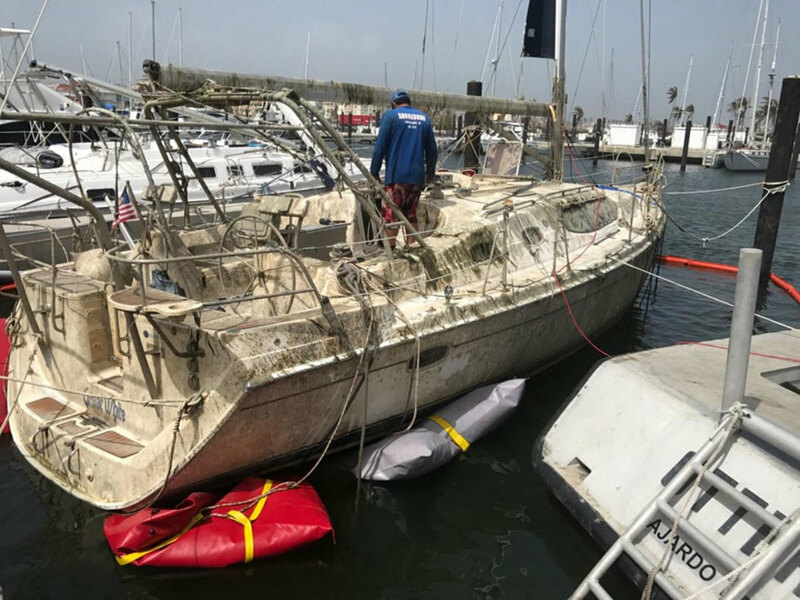 “When they came back they thought they were going to see a mass pile of fiberglass, but his boat survived pretty well and was not a total loss. There were quite a few boats that had sunk and sustained a lot of damage,” Smith said. St. Croix also had several sunk and damaged boats because of Hurricane Maria. This photo was taken at Green Cay Marina.